Are you planning to take an upcoming vacation in the southwestern portion of the United States? There are so many amazing options, and every state has something unique to offer. New Mexico can sometimes be overlooked. However, it's a very diverse, historical, and laid-back vacation spot with so much to offer. Foodies, wine connoisseurs, nature lovers, and those hoping to gain some insight on different cultures will be pleasantly surprised at all the things to do when they visit New Mexico. But there are some things you should know before you travel to this wonderful state. Do we have your interest? Keep reading to discover 10 things you should know before you visit New Mexico. New Mexico's food is influenced a lot by (you guessed it) Mexico! You'll find tons of amazing food in this state, and there are chilies and tortillas almost everywhere! Who says tortillas can only be for burritos? Tortillas are used in any dish they possibly can be. Did you run out of bread? A New Mexican may tell you to just slap that peanut butter and jelly onto a tortilla! Chilies are another common ingredient. If you don't like spice, you should be wary that many of New Mexico's signature dishes, like chili enchiladas, posole, and green chili stew all pack quite a punch by incorporating chilies. If you like some spice, but don't want to be overwhelmed, you'll be pleased to know that they chilies are served with varying degrees of spiciness. If you're asked "red, green or Christmas" when ordering food, the server is referring to the heat of your chili peppers. 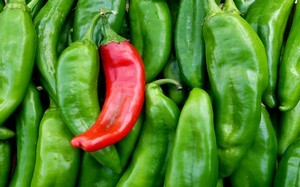 Red chilies have a milder taste, while green chilies are much hotter. If you can't decide, ordering your peppers Christmas will give you a mix of red and green. When most people think of wine made in America, their mind may head straight to California. While it's true that California is popular for its wine, New Mexico has actually been in the game longer. New Mexico's long history of making wine dates all the way back to 1629. There are now over 42 wineries which produce a collective 700,000 gallons of wine each year. This makes visiting a winery of the biggest draws of New Mexico tourism. The wineries in New Mexico offer an impressive selection of red, white, and rose wines, so you'll be sure to find one you love. If you're looking for something unique, Enchantment Vineyards creates a Sunrise Rose that has hints of fruitcake and cotton candy! We've all read stories and watched movies of the wild west growing up. If you grew up in the east, Annie Oakley and Jesse James may seem more like characters rather than actual people. However, they were indeed real people, and they've left their influence behind in New Mexico. The city of Cimarron can be particularly interesting if you're looking for some history on your visit to New Mexico. There, you'll find the St. James Hotel. Annie Oakley and Jesse James have stayed there, and the hotel's bar is the location where Davy Crockett murdered some Buffalo Soldiers. But the rich history doesn't stop with the wild west. There is also an extensive history of Native Americans in New Mexico. New Mexico tourism boasts over 25,000 Ancestral Pueblo sites throughout the country and Indian arrowheads pop up everywhere. The Bandelier National Monument is a 33,677-acre park where you can see the influences left behind by the Ancestral Pueblo. The New Mexico desert may be the most commonly thought of landscape, but there is so much more than that. New Mexico also has plenty of mountains and lush forests. The landscaping that can be found throughout the state is awe-inspiring. Red rocks twisting and turning and picturesque white sand dunes will have you wanting to come back for more New Mexico vacations. It looks like Wile E. Coyote still hasn't caught that pesky roadrunner yet! The roadrunner is actually the state bird of New Mexico, and you'll most likely see a few when you visit New Mexico. But, don't worry, roadrunners aren't giant blue birds like you see in the cartoon. They only measure about 1 foot tall and 2 feet long. While they can fly, they are more adept at running - which is where they get their name. These little brown and white birds are actually fast enough to outrun a human! If you enjoy stargazing, then you'll love New Mexico. The climate there is very dry. In fact, most areas only see 55-75 rainy days every year. This means you'll be able to enjoy clear skies most nights. This coupled with low light pollution makes New Mexico tourism famous for its pristine stargazing. Every vacation experiences a few hiccups along the way. Maybe you overslept, got sunburnt, or missed the bus you were trying to catch. While nobody wants to experience stressful problems on vacation, it's all about how you handle them. New Mexico has a very laid-back atmosphere. Take the local attitude in stride while you visit New Mexico and relax even when problems arise. After all, worrying doesn't solve anything. When you visit New Mexico, you may notice that everyone calls parades and festivals "fiestas." These fiestas are the pride and joy of New Mexico tourism. The Albuquerque International Balloon Fiesta is the most famous fiesta the state has to offer. It's the biggest hot air balloon festival in the world, allowing visitors to gaze at hundreds of colorful balloons floating in the sky. If you miss the International Balloon Fiesta, the New Mexico State Fair and the Roswell UFO Festival are also great options. Attending a fiesta in New Mexico is a great way to have fun and learn all about New Mexico's colorful culture. You may even want to take several New Mexico vacations to see all the different fiestas this state holds. New Mexico is a great vacation destination for foodies, history lovers, and wine connoisseurs alike. There is so much to do in this amazing state, including learning about Native Americans, enjoying the landscaping, and attending one of the many fiestas. But before you visit New Mexico, you should know a few things, like the fact that chilies are everywhere (and you can get them Christmas), roadrunners are real, and the stargazing is to die for.